My goodness its weeks since I have created any kits or elements. There are 24 items in this tagger sized kit. Feel free to change the colours to suit your individual creations. In png format. 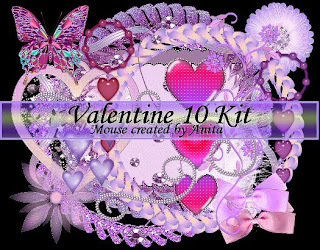 Thank you so much for the lovely valentine kit. You're so talented and generous in sharing your artistic gift.